Falling short of the loving, though not perfect, parent my kids deserve does not express how much I realize what a gift He’s given me. Because they truly are a gift. 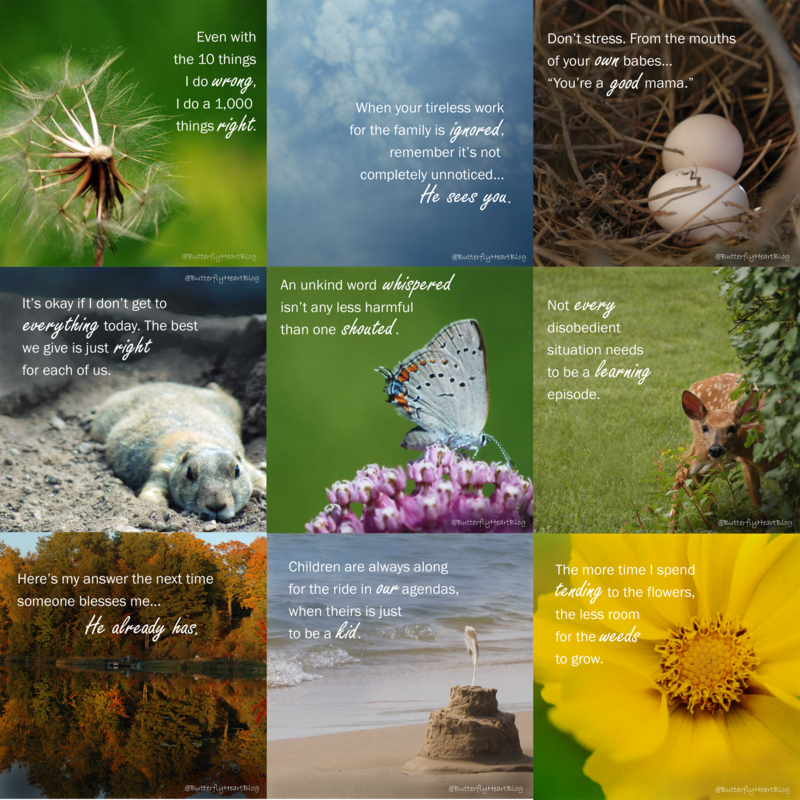 Here’s a look-back at my discoveries in 2015 from looking a little closer in the rear-view mirror and listening a little closer to my heart. This post has no eggnog. No holiday bliss. No ribbons and bows. It’s not about making memories. It isn’t even very Christmasy. This post is for those moms trying to shop while dragging little ones along. And for the unfortunate shoppers around you during inevitable meltdowns. Recently, my toddler formed this bad habit of saying “stupid” when he’s not happy. While it’s not the worst word in the world, we have been working diligently on his vocabulary choice. It bubbled to the surface while grocery shopping, and I warned him that if he continued choosing to say bad words, he would not get the donut I offered earlier. Well, guess what? He said it again. So I calmly told him we couldn’t get a donut. I encouraged him that next time he would use the right words and get a donut then. Well, what do you think happened? Yep, meltdown. Now he doesn’t normally do this. Maybe it was close to naptime. Maybe it was too much shopping at once (I had already been to one other store). Who knows what triggered it, but it came on full force. I’m pretty sure he complained “I want a donut” 27 times. I’m not even exaggerating. Some were small whines, some were unrecognizable with tears, and others were full-fledged shouts that bounced up and down every aisle in the store. Imagine my embarrassment. Heading to the checkout lane with a full cart, I hesitated. Do I take him out of here and leave my cart, or try to get the groceries? I opted to check out, as I didn’t want the employees to have to return all my food. Plus, I needed the groceries. Someone behind me hightailed it to a different checkout lane. I didn’t blame her. I tried to talk to him, but honestly, he was in that zone. Do you know that zone? The zone of I’m-not-ready-to-be-calmed-down-yet. Heck, I’m not sure he could hear me through his repetitious, “I want a donut” cries. So I focused on finishing my task and paying as quickly as I could. I whirled around when I heard this. Someone had approached him. An employee, I think. Besides the fact that I don’t want him thinking strangers are nicer than his mama, or heaven forbid, that he should ever accept candy from a stranger, he cannot be rewarded for his behavior. He didn’t get the donut for bad behavior, and ending up with a candy cane is not going to fix that. I beg you, please just let him cry. Trust me, I know how hard it is. Moms, I’m warning you now. You will have people give you dirty looks. Perhaps they’re thinking, Why can’t you make your kid shut up? I’m hoping those are the non-parents. But I guess it’s possible other parents’ kids don’t ever have meltdowns. Maybe? 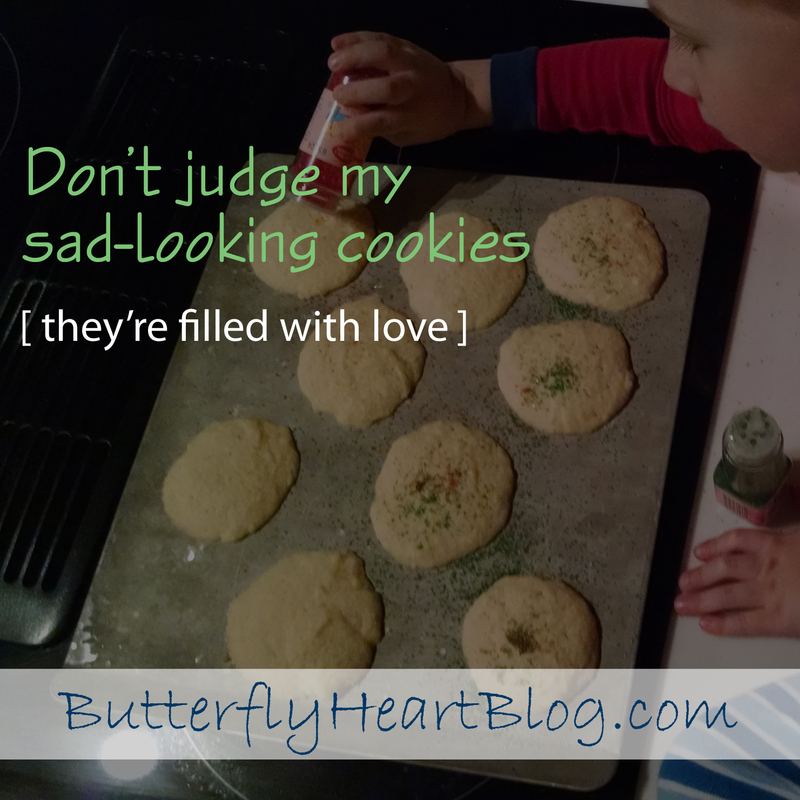 As a parent, I would never judge, only look on with empathy and try to tell another mom that I understand. The woman bagging my food looked at me. “Oh, don’t worry about it. We’ve all been there.” Then she added, looking at another counter, “Well, Shelly hasn’t yet, but she will soon,” she teased. “Then I’m sorry for you, too.” I smiled at Shelly. Because it will happen to most of us. At least once, probably more. 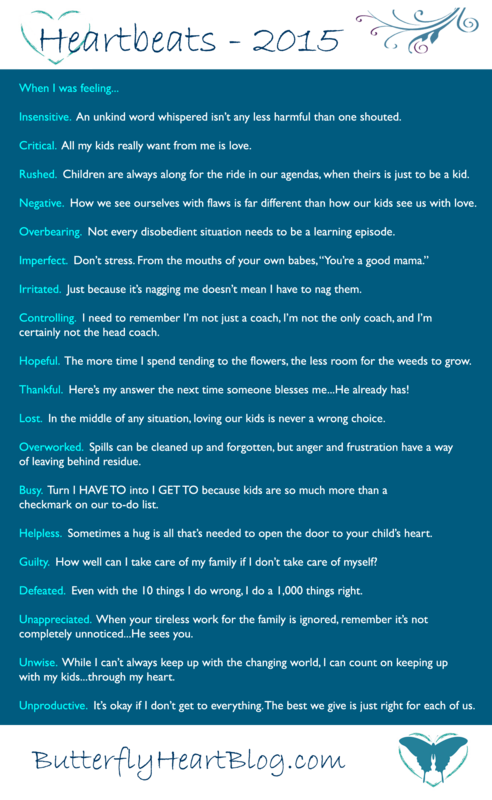 Dealing with meltdowns at home isn’t fun, but the ones in public are worse. It’s because I love him dearly that I can’t give in. Even in public. 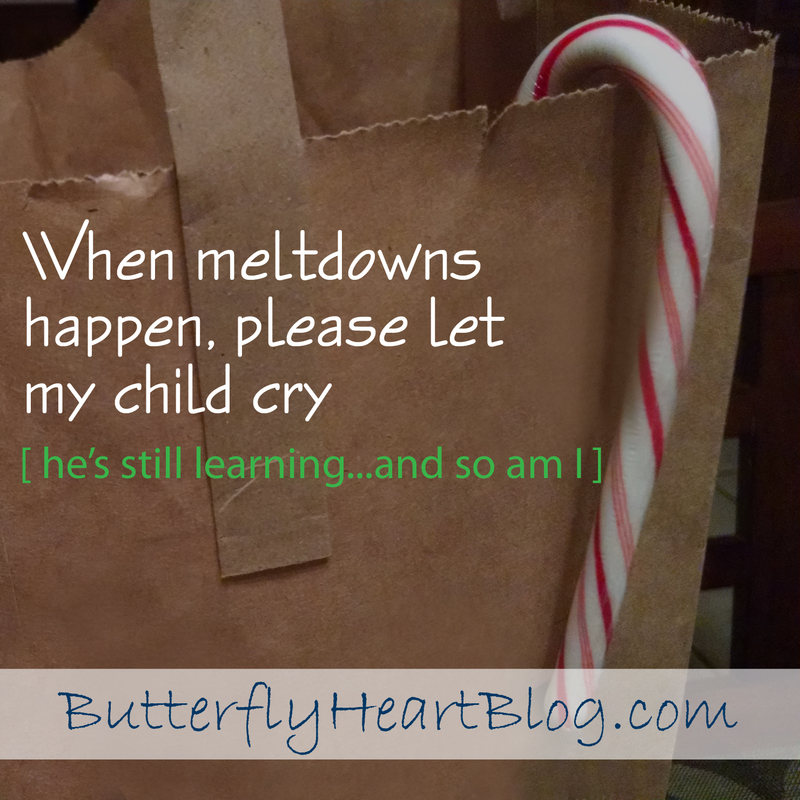 Adults can have meltdowns, too. We might not be repeating “I want a donut” over and over, but we may be thinking other things. Like, why can’t I just go to the bathroom once by myself? Seriously, why can’t I be alone for two seconds? Or, why can’t the house be free of clutter for more than a couple hours after I spent four cleaning it up? Or, why do I have to ask hubby for some time to run errands while he grabs time whenever he likes – alone, mind you? 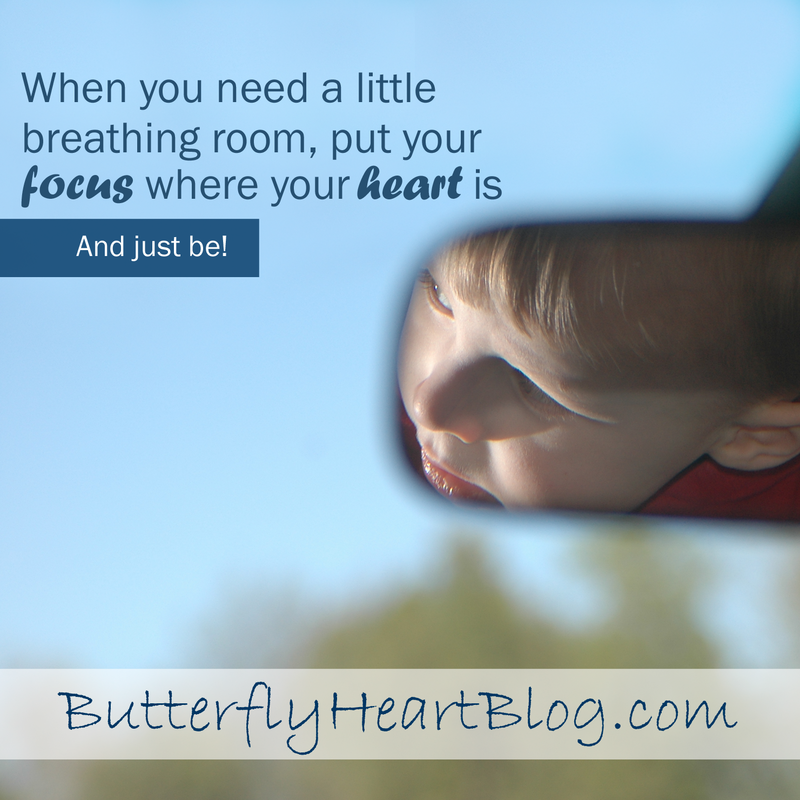 Rather than cry, whine, and kick our legs, we pout, disengage, or show our cranky selves. It’s hard not to grumble once in a while. And while we may be justified in feeling slighted, or taken for granted, does it really make us feel any better? Does it improve our situation, or make it worse? Just as I tell my son his whining will only make things worse, I need to take my own advice. I need to take His advice. So shoppers, store clerks, and anyone else around me, please understand. I’m not being mean. I’m not mistreating him. I’m trying to teach him right and wrong. And do my best to keep a joyful heart as I’m doing so. So please just let him cry. Next time I go to my grocery store, I think I’ll hand out candy canes to those employees who were so understanding. I’m banning Pinterest for the rest of the year. It makes me look bad. I keep seeing pins for creative stocking stuffers, beautifully organized gift wrap, placements for Elf on the Shelf, and cookies shaped like mugs of hot cocoa. Do you think mine would look like that? Uh….no. The handle would never stick, the marshmallows would melt into oblivion, and my cookies would fall flat as a pancake. The chocolate ganache would end up looking like poo on a platter. So while someone somewhere is making treats that belong on Cake Wars, I have yet to put those tiny, store-bought chocolate squares into the individual compartments of our advent calendar train. When I finally get to this, the kids will need to eat 10 at one time to catch up. It’s the same with the house. I have a tree with no ornaments because I’m still trying to figure out why 3 branches won’t light up, despite the fact that I’ve diligently replaced every bulb. I have a painted buffet table in my foyer with no doors or drawers affixed because I still need to finish the hardware. I have to defrost my mini-van each morning because I have another “project” taking up space in my garage stall, which needs to be done before Christmas. I’m starting to wonder if our 14-year old cat now has urinary incontinence because I keep thinking I smell pee in random places. I’m fairly confident it’s not from my toddler. I don’t want to smell pee for Christmas. I don’t want guests to smell pee. I want our home filled with mulberry and cinnamon! Do you ever feel less-than-all-together? Especially during the holidays? There are such creative souls, talented artists, ambitious moms out there on Pinterest – doing clever gift wrapping, intricate hair braiding, dazzling table settings, paw print ornaments, and homemade advent calendars. And I don’t need to do any of it. Here’s a new post I’m ironically adding to Pinterest. Stop looking at Pinterest! We had professional family photos taken, and my Christmas cards were in the mail December 8! Unheard of! I’ve regularly interrupted my to-do list to join my toddler at his current favorite pastime – jigsaw puzzles. We’ve made cookies together, and I didn’t judge those with a mound of sprinkles to those with so few you could count them. My son praised me with his mouth full, “You make really good cookies, Mama.” Thank Betty Crocker, sweetheart. It’s okay if I don’t get to everything, or do things beautifully precise. We all do the best we can, and it’s just the right thing for each of us. More importantly than what I’ve accomplished, I’m focusing on what I have. My family. When others are spending the holidays for the first time after losing a loved one. A warm house. A comfort I’m more aware of after my interaction with a homeless man recently. My health. I may grumble at cracking hips and sore muscles, but I can get out of bed every day. We have much to be thankful for. And we don’t need to strive for perfection to realize it. I am adding one new undertaking, though. A tradition that always appealed to me. And I’ve seen it on Pinterest several times. We open one present Christmas Eve, something I did growing up. This year, I’m giving each family member a special box (including me). Complete with a new pair of warm, fuzzy PJs, a packet of cocoa, and marshmallows. We’ll cozy up by the fire to watch Polar Express, sipping our hot chocolate. Take that, Hot Chocolate Cookie Mugs. I’m having myself a real one! UPDATE: Since writing this post, our local police department shared information that many of these panhandlers are frauds, often turning down job offers or offers to take them to homeless shelters, and consciously choose to live this lifestyle. Although panhandling is legal and I may have fallen for a fraudulent one, I won’t let it dampen what I did. The spirit of giving is still worthy. 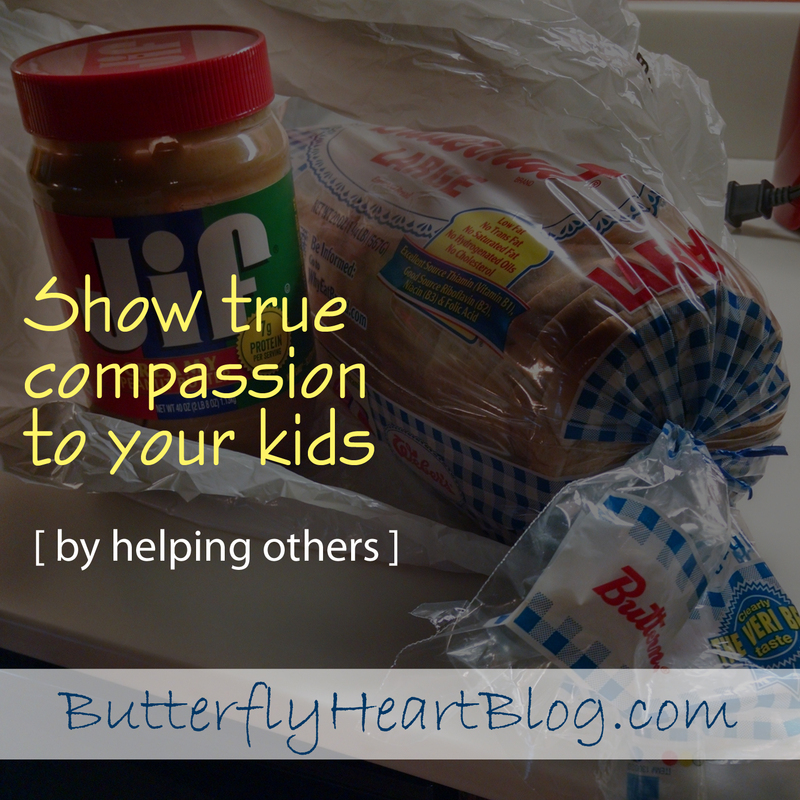 I’ve also shared this with my son so that he can be aware of the best and safest way to help those in need: give to our local charities, warming shelters, and food pantries. May you continue to bless others through giving. I did something I’ve never done before. I responded to a homeless man’s plea. My older son and I were waiting at a stoplight. The traffic was evidence that Christmas is just 2 weeks away. A man with a cardboard sign stood at the corner of my left turn lane. I didn’t make the green light, so I was now stopped directly next to the man. I admit I didn’t read his whole sign. I tend to avert my eyes. And that day I asked myself why. Why do we pretend they aren’t there? Why do we assume someone else will take care of it? Why do so many cars drive right by? Then, my signal turned green, and countless cars behind me were ready to go. As I drove away, I was itching for action. I asked my son if he saw the man. He had. I asked if he read the sign. He did not. I told him the words I had caught while glancing at it. I remember my first trip to a big city. I was warned by someone familiar with the area not to make eye contact with the beggars on the street. That they would take advantage of anyone who responded, that they might even steal or harm someone. I do not live in a big city. Seldom do we see beggars on the street. There are absolutely homeless in our city – I’m not naïve in thinking there aren’t – but they are often not in view of everyday life. I am a safety girl at all times. But this seemed like an act of kindness that would cause no risk to me or my child. God must have been speaking to my heart. And it was an opportunity to actionably share something important with my son. [Me: Really?] I think I still needed a little encouragement. We stopped up the road at a convenience store. I wasn’t sure how long the man planned to be there, nor how long it would take him to return to his family, nor what kind of situation he was in. So we grabbed essentials that could be outside and could be used without modern conveniences like microwaves and the fridge. A loaf of bread, jar of peanut butter, bunch of bananas, and applesauce packets. I prayed no one had peanut allergies. With a small bag of what felt much less than I hoped it would mean for him, we turned around. We got back in that left turn lane, along with the countless shoppers. I worried he wouldn’t see me because I noticed before that his eyes remained downcast, as though ashamed of being there, holding his sign. This time, we were stopped about 4 cars up. I rolled down my window and wondered how to get his attention. He was on the move this time, nearing car #2 who he must have thought was going to offer something, but when they didn’t roll down their window, he waved apologetically and started to return. I waved frantically out my window. He came toward us, and I handed the bag to him. “Could I give you this?” I asked. I added, “I hope it helps.” Because, honestly, it was so very little, I was embarrassed. He said, “It does. It really does. Everything helps.” I felt miserable for him. How hard it must be to swallow your pride. I teared up and wondered at his situation. It would take extremely dire circumstances to find ourselves begging, wouldn’t it? But wouldn’t we do that for our families if we had no other means? Honestly, homelessness could happen to any one of us. All it takes is a lost job, months of bills that can’t be paid, and no family or friends to bail us out. Any one of us could be in his shoes. How fortunate for those of us that aren’t. We are truly blessed. I am thankful for the opportunity for my son to see compassion at work. I am thankful that God must have tugged at my heart to take action this time. do not refuse the one who would borrow from you. I pray our small bag of food was useful. I pray others offered him something, too. But more than anything, I pray it gave him HOPE. Hope for tomorrow, for his family, for their future. That night, my son prayed for the man. Then he looked to me. Bless my son’s innocence. And bless the message I was able to share with him that afternoon. I knew he would not forget the decision we made. I hope the up close and personal experience builds compassion in his heart. And I pray my heart doesn’t forget compassion the next time someone needs it from me. Bless all of you who work up close and personal every day with those in need. Bless each man and woman who serves our country. And bless the man who graciously took the small bag of hope I offered.